There’s an old saying — “a rising tide lifts all boats.” Often attributed to President John F. Kennedy, the saying implies that improvements within a community are a benefit to everyone who is part of that community. As we began to reflect back on FY15, this adage came to mind quite often. 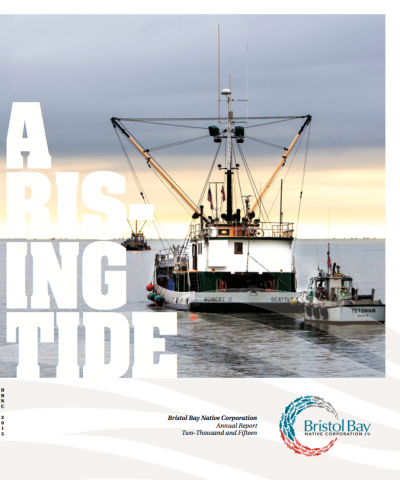 It seemed to embody Bristol Bay Native Corporation’s commitment to the economic and cultural wellbeing of every shareholder, and it reflects the truism that if we provide new opportunities here at home and throughout the BBNC family of companies, each of us is stronger.